Photo Of The Week: The Euro X Games! Superpipe at the X Games! As you may have read in my latest Natives post, this week I got the chance to go over to Tignes for the opening day of the 2013 European X Games. And even though it snowed ALL day, it was freezing cold and the Womens’s Slopestyle (mahoosive jumps) got cancelled because of the weather, it really didn’t matter. 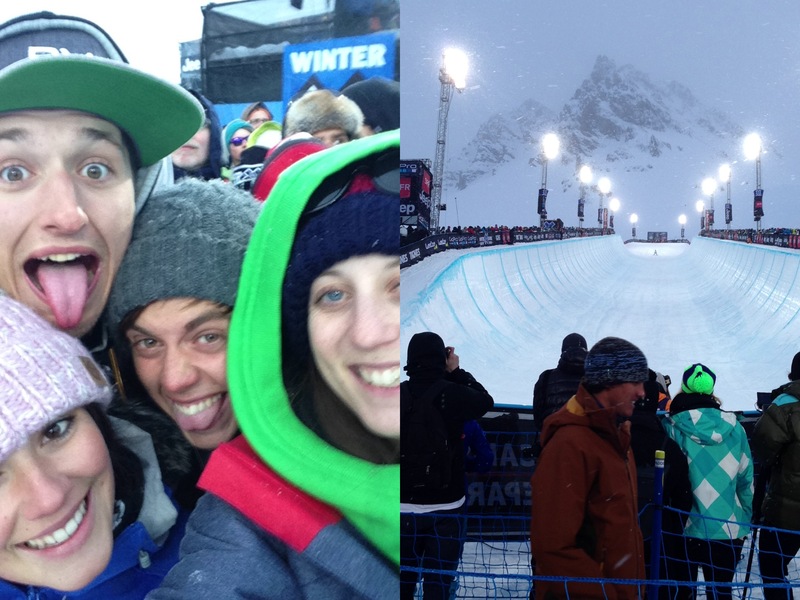 Because at about 5pm we got right to front (and right in the middle) of the Superpipe for the Men’s snowboarding event. And it was EPIC. I genuinely don’t understand how those guys can hurtle up and down this pipe, throwing themselves high into the air, spinning and grabbing and flipping as they go. Mental. But incredible to watch.